General Motors is infamous in racing circles for its 1963 motorsports ban. There is some debate about why GM ceased its racing operations, although automakers were under pressure at the time to promote vehicle safety in their advertisements instead of speed of performance, which is thought to have played a role in the decision. 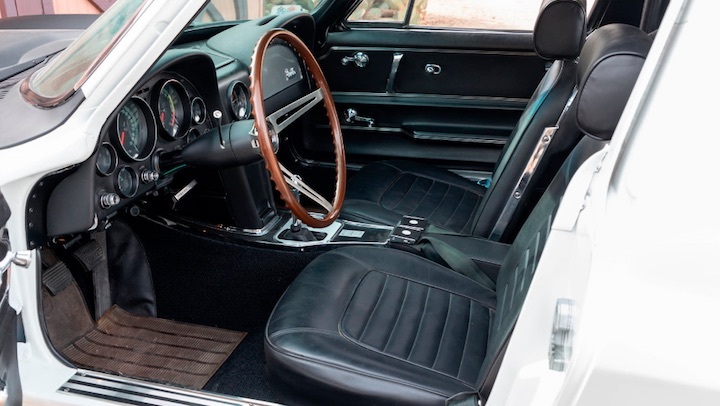 GM may have stepped back from factory-backed racing in the early and mid 1960s, but privateers still campaigned the ever-dominant Corvette in race series all over the world at the time. 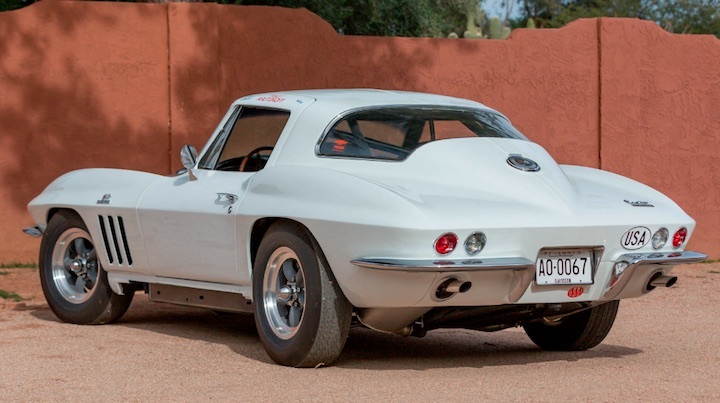 This 1966 Chevrolet Corvette C2, which will soon be auctioned off by Mecum at its Phoenix 2019 sale, was bought new in Nashville, Tennessee and exported to Germany, where it was converted to race-spec. It’s unclear where it raced, although the vehicle was initially purchased by Russian-born American racer Anatoly Arutunoff, who raced all over America and Europe in the 1950s and 1960s. Not only does this car have interesting history, it was ordered with a number of unique parts that would be necessary for a Corvette race car, such as the 36.5 gallon big fuel tank, the L72 7.0-liter engine, M22 four-speed manual transmission, heavy duty brakes, heavy duty suspension, Positraction rear end and heater delete. It is also just 1 of 66 big fuel tank Corvettes built in 1966 and 1 of 15 with the four-speed manual transmission. This fully restored former 1966 Chevrolet Corvette race car is sold with copies of the National Corvette Restorers Society certificate, along with the original bill of sale, a statement of origin and the racing Homologation Recognition Form. It will go under the gavel at Mecum Phoenix on Saturday, March 16th, 2019. There’s no telling how much it will sell for, but vintage cars with motorsports histories typically command a premium over similar cars that were never raced in-period. You can view the listing at this link for additional information and photos.